Fences do a lot of the heavy lifting when it comes to making or breaking the overall look of your home. Regular maintenance, like cleaning and staining at least every five years, can extend the life of your fence beyond a decade. Have you ever been to a backyard barbecue and stood next to a rotting fence or one in dire need of a stain? It’s a lasting memory that you don’t want to have, and certainly not one you’d like your friends and neighbors to take away from your next gathering. Instead, frame your backyard paradise with a beautiful fence that not only provides privacy, but also adds to the value of your home. 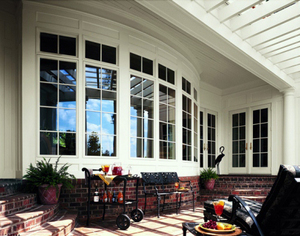 At Dwell Roofing & Exteriors, we believe a fence is much more than functional; it’s an important extension of your home. We offer a variety of fencing options to ensure your needs and tastes are met; all built with quality materials that can withstand even the strongest Texas winds. Whether your fence is old, out of style, or the victim of a recent windstorm, we’ll help bring it back to life. If your current fence is in need of storm-related repairs, our licensed adjusters will perform an onsite inspection, then provide a free estimate. If a claim can be filed, we’ll assist you with that process. Discuss what you’re looking for in a fence. Walk you through the types of fences we offer, including our most popular cedar board-on-board fence for total privacy and stability. Offer ideas for the new look of your fence, such as trending stains and styles. Provide a free estimate for repairs or a new fence. Help you file the insurance claim, if you are replacing your fence due to wind damage. Whether you need a new fence or your current fence is in need of a cleaning & staining, Dwell Roofing & Exteriors is your fence contractor of choice. 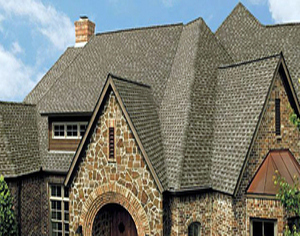 Dwell Roofing & Exteriors is a Dallas Roofing Company known for our exceptional quality and service. 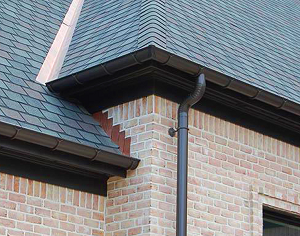 Whether there is damage to your home or office, or you’re just updating the exterior, we will give expert advice to ensure that any improvements add additional value and curb appeal to your property.